The spectacular bulb flower Eremurus is part of the Liliaceae family, relative to the lily. Native to western and central Asia and in particularly in the high altitude of Iran, Turkey, Afghanistan and Pakistan. The flower can reach a high of six feet, which gives the flower a long dramatic shape. Actually, it’s not one flower but hundreds of tiny flowers all attached to the central stem. Needle of Cleopatra and King’s spears. The symbolism of this elegant flower is endurance. Secretly a reference to the long flowering period, but a symbolism you can use if you want to give a bouquet with significance. Eremurus has a special soft color palette and a natural color gradient. White, cream, apricot, salmon, yellow, orange and soft pink are the colors of this beauty. The height, which is import and typical for the flower, is between 70 and 170 centimeter. On special request, longer copies are available, ask your account manager for more information. The season of Eremurus is spring and summer, starting with some luck in February and available till September. This ‘tail’ is a dream for designers! It’s an elegant flower which you can use in stunning (wedding) designs and centerpieces. Combine different colors and lengths Eremurus for a spectacular effect. The flower is easy to combine, but comes more to justice in large flower arrangements where you use the length of the stem. Looking for some summer vibes? 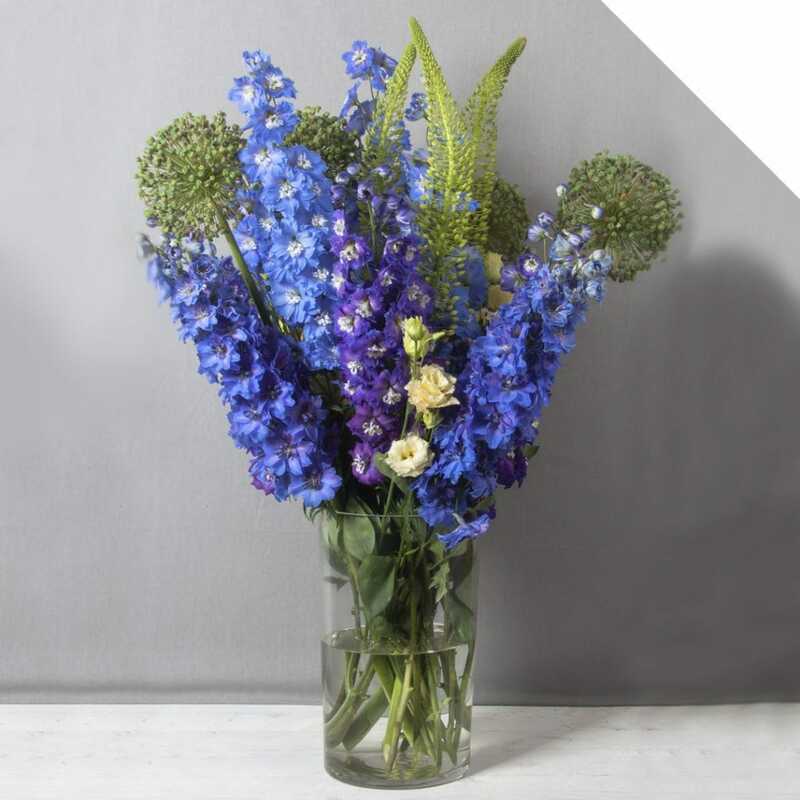 Combine Eremurus with Celsoia, Helianthus and Gladiolus. 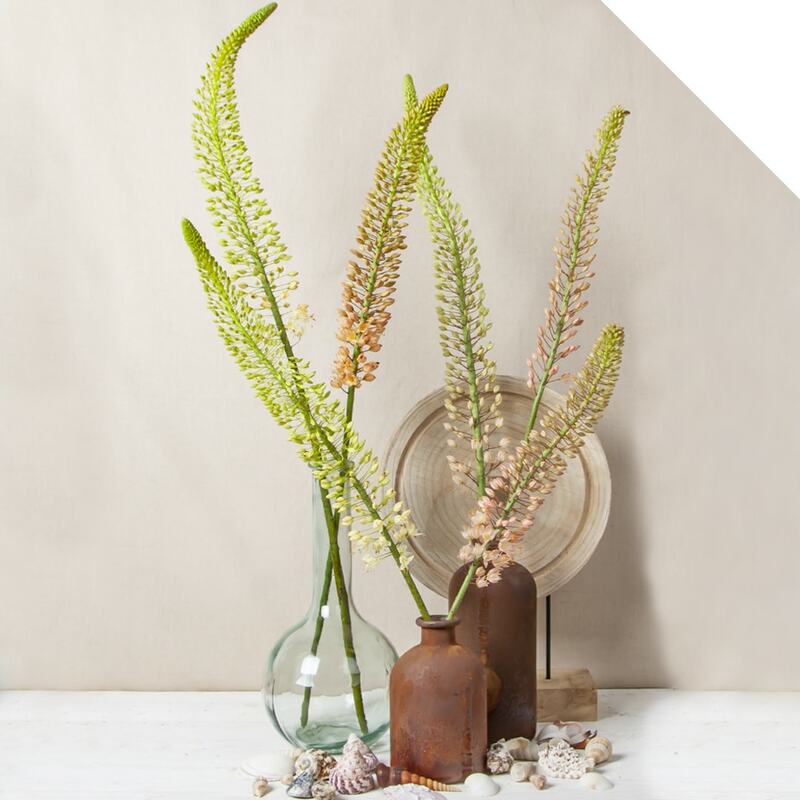 Or go for the more bohemian inspired look with Eremurus, Kniphofia, Crocosmia, Delphinium, Viburnum and you favorite type of green. If you want to go for a big pieces, combine the Eremurus with other big flowers like Lilium, Strelitzia, Curcuma and different type of green branches. 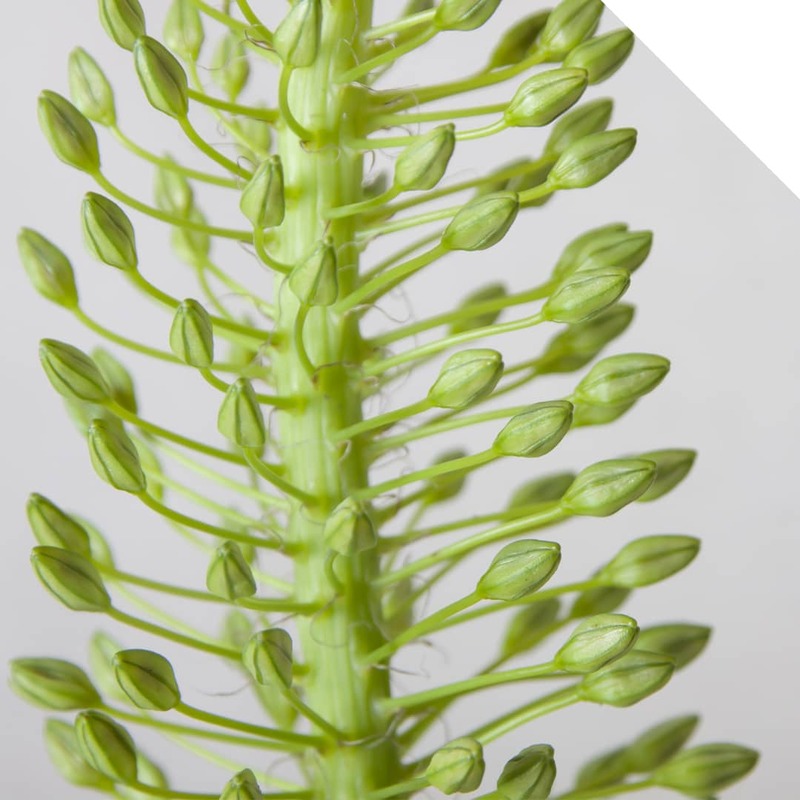 When you are receiving the flowers, check the stems for cracks and other damage. The flowers should not be squeezed, handle them with care. Cut the stems and place them into water, store the flowers in the cooler. Be aware that the flowers can be heavy, especially the top. As a result, the flower can easily fall out of the bucket. If you handle the flowers with care, you can enjoy them for a long time. Eremurus is well known for its long vase life.